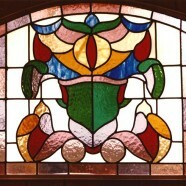 Ketton Stained Glass first began trading in 1989 and this was the first window unit I ever produced. The company name derived from the old Suffolk name for the village of Kedington where I was living at that time. 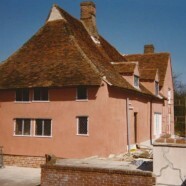 Working alongside Lavenham Restoration Company I undertook several major projects in the mid nineties including a complete set of leaded windows and metal frames for the Grade One listed Abbas Hall in Great Cornard which one of two known aisled hall houses in Suffolk dating originally from 1270. 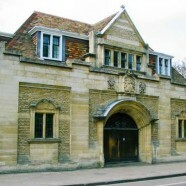 For twenty years I have looked after all the windows at Emmanuel College in Cambridge - we started here in Emmanuel Street where revelers returning to the adjacent bus station were repeatedly vandalising the line of windows – once rebuilt I added a barely visible aluminium framed laminate glass cover to each and further damage has been very limited. 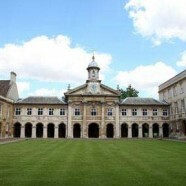 Emmanuel College in Cambridge – Sir Christopher Wren’s chapel shown here has integrated at the front the Long Gallery the thirteen windows of which have suffered breaks from students, the resident college ducks making their way back to their pond behind, and in the last case an errant racing pidgeon who was waiting for me inside when I arrived – more detail on the Chapel here. 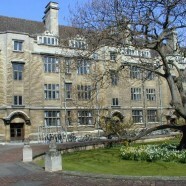 Emmanuel College in Cambridge - North Court is the home to a large proportion of the students in Emmanuel – regular repairs and maintenance are required. 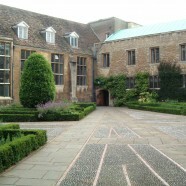 – more detail on North Court here.